Baby's breath are the mostly commonly seen flowers with roadside florists. The use these tiny elegant flowers on wiry stalks as filler in bouquets. The botanical name means "lover of chalk" - as this is the sort of soil the plant likes to grow in. Its popular name, baby's breath, gives an indication of its delicate airy appearance. Baby's breath has many slender branching stems, each bearing many tiny button-shaped flowers at the ends. Narrow, linear-lancelike leaves, 1.5-7 cm × 3-16 mm, are stem-clasping. There are other leaves with rounded bases. , 1.5-7 cm × 3-16 mm. 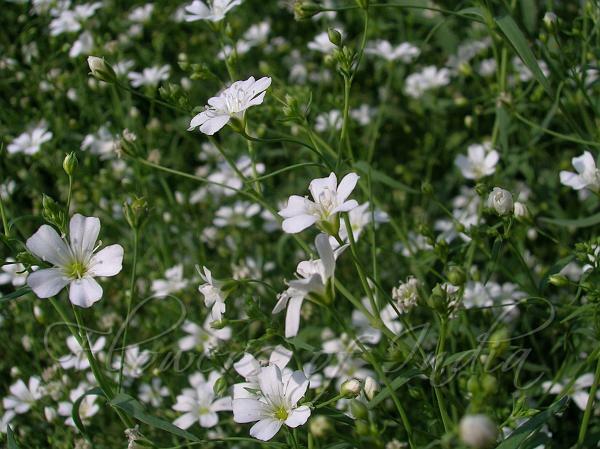 Two forms of gypsophila are cultivated: the annual Gypsophila elegans, and the perennial Gypsophila paniculata. 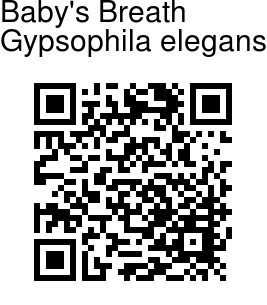 Baby's breath comes from Europe and West Asia.